As reported earlier, MSNBC host Toure told viewers today that Mitt Romney was engaged in the “niggerization” of Obama. Because Romney used the word “anger” and that implies racism. What you may not know is that “niggerization” is a Nazi term. The Nazis spoke obsessively about the “niggerization” of art and music. 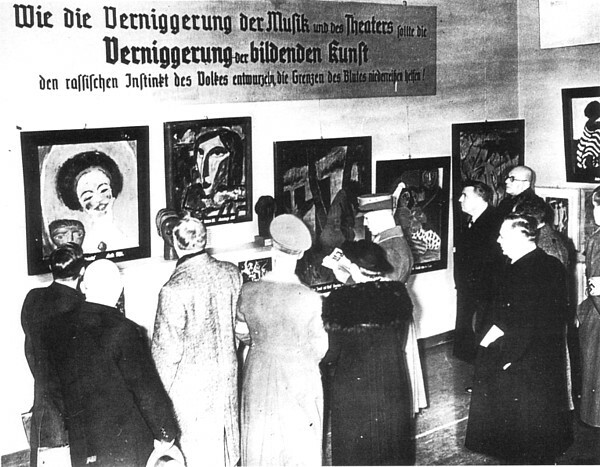 They had the infamous Degenerate Art Exhibit in 1937. Now the left is using it against Mitt Romney. Horrible.